Last Sunday in the Introit, we heard for our joy and consolation, “The earth is full of the mercy of the Lord” (Psalm 32:5–5). Today in the Introit, the Church sings, “Jubilate unto God all the earth; sing ye a psalm unto His Name. Make His praise glorious” (Psalm 65:1–2). The mission of the Church is to summon all the earth into jubilation unto God. Wherever the Gospel of Jesus Christ is preached, men are called to lift up their hearts in the praise of God: “Sing ye a psalm to His Name. Make His praise glorious”. The earth and all it holds exists for the praise of God. The finality of all created things is the praise of God. Man falls short of that for which he was created when he forgets or neglects to worship God. New cities are always being constructed on the ruins of the old: these are skillfully planned in view of providing their citizens with every facility and technological advancement: schools, green spaces, clinics, libraries, museums, shopping districts, sports fields, industrial parks, and fitness centres. If, however, in these cities, there is no temple raised to the glory of God, no sanctuary, no altar, no tabernacle containing the irradiating Body of Christ, not only are such places not fit for man, created in the image and likeness of God, such places are dehumanising. In every place where the praise of God is silenced, where churches are closed, where the worship of God is forsaken, man becomes less than human. Nowhere is the quality of human life more desolate, nowhere does man suffer more from the loss of meaning, than in those once gloriously Catholic nations now engaged in a futile attempt to forge for themselves a new identity, a Godless one. The secular city, naively exalted in the 1960s, was but another phase in the terrible process of man’s alienation from himself. 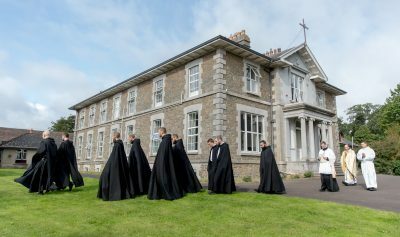 The animus of today’s secularists, the rage of those who would purge Ireland of the very faith that in ages past made her a place of holiness, and learning, of hospitality at home, and of heroism in the missions, is aptly described by the psalmist: “The kings of the earth stood up, and the princes met together, against the Lord, and against his Christ. Let us break their bonds asunder: and let us cast away their yoke from us” (Psalm 2:2–3). 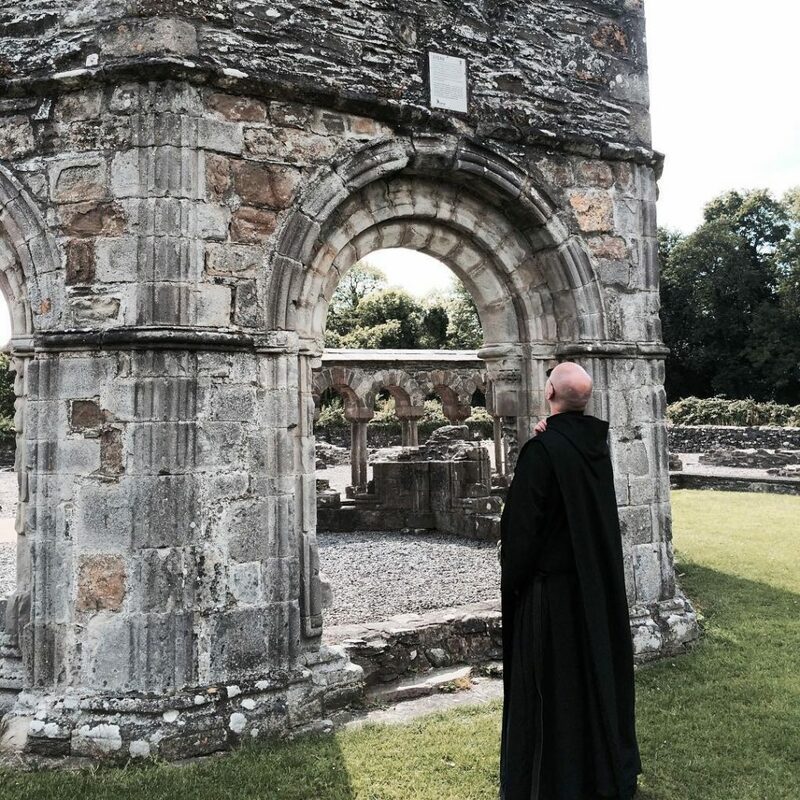 Wherever men believe in prayer, you are sure to have the monastic life in some shape or other. If they have none, they will soon cease to believe in prayer, as is fast becoming the case in all Protestant countries. Wherever the Christian idea is strong, men who are by their position necessarily involved in the strife of the world will be glad to know that men and women who are separated from its turmoils and its sins are offering prayers to God for them. Those who would empty their lives of the praise of God, and push the things of God to the margins of society, find, in the end, that their lives have become simply, desperately, grimly empty. The secular nation descends inexorably into a harsh and dismal unloveliness. Beauty withers in every society that marginalises God and the things of God. Look at the cities constructed by the Godless totalitarian regimes of the last century: monuments of oppression haunted by hopelessness. Ireland is fast approaching a crossroads. Two signposts loom ahead: the first, represented by the secular media, points to the things which are contrary to the name of Christian; the second, rather more humbly, points to things such as befit that name. The choice of the secular city and its values will lead to barrenness, unloveliness, and emptiness. The choice of the second will lead to the sound of jubilation in the city. The choice of God in a society where, increasingly God is mocked and the things of God disparaged, is costly and not without sorrow, but such godly sorrow is the wellspring of the “joy no man can take from you” (John 16:22), and such joy makes glorious the praise of God.